Those fortunate enough to make Santa Barbara home find everything about the city and its surroundings optimal. The mild Mediterranean climate provides 300 days of sunshine each year with average daytime temperatures hovering at 70 degrees. A unique geography of mountains, foothills, beaches, and islands creates enormous opportunity for outdoor activities. Among others, locals and visitors alike enjoy hiking, jogging, surfing, camping, biking, fishing, sailing, and, of course, just relaxing at the beach. It’s difficult not to be outdoors in such an extraordinary landscape under so much sun! And even among the obvious natural beauty of Santa Barbara, the architectural and social splendor of the city is rarely overlooked. A population of approximately 95,000 permanent residents gives Santa Barbara a liveliness neither overwhelming or mundane. Historical landmarks, three museums, performance venues, a harbor, an invigorating downtown, and more parks and restaurants than could be visited in two months of nonstop dining and leisure help make this city one of the top locales to reside in the world. Santa Barbara boasts exceptional public and private schools, a top ranked university, an acclaimed city college, several graduate institutes, and the largest medical center on the central coast. While leaving the area may not be ideal, one won’t find it difficult. A regional airport lies just minutes away from the beach while a commuter rail station is located right in the center of town. Los Angeles is a mere 90 miles south and quaint vineyards dwell just over the hills. Graceful palm trees and vibrant red tile roofs exemplify the modest skyline of downtown Santa Barbara. Like any city, it has been shaped by pioneers of business, law, and politics. 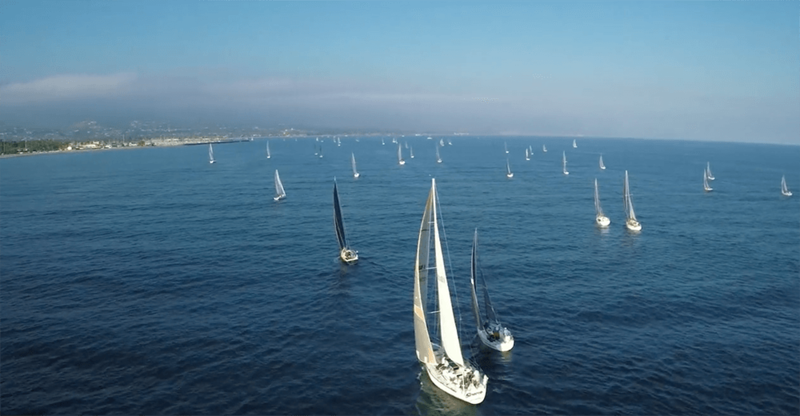 But behind the success stories of its hardworking residents, Santa Barbara locals retain a lust for relaxation and calm enjoyments. Farmers Markets can be found every day of the week. Art galleries open their doors for free every first Thursday of the month. Watch an outdoor movie at the historic courthouse gardens and cheer on the summertime parades of Solstice, 4th of July, and Fiesta. Here, it’s more common to meet friends at the beach than any building or corner. Families soak in the sun at scenic parks while active residents climb mountain trails with stunning vistas of Santa Barbara’s expanse. National and State Parks are a short boat or car ride away. Santa Barbara’s annual International Film Festival ignites local buzz for two straight weeks. The list of the city’s everyday pleasures is as rich as its celebrated history. 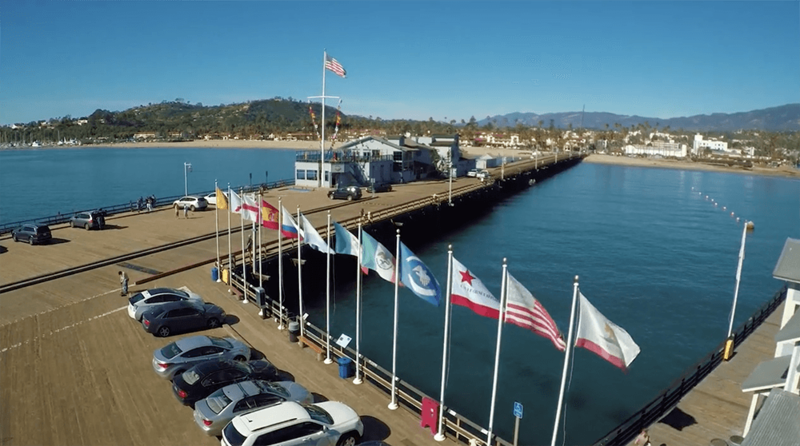 Originally settled by the peaceful Chumash Indians, Santa Barbara was a Spanish colonial region and a Mexican province before assimilating into the United States. The California gold rush forced a spike in population and the arrival of early 20th century vacationers sealed the city’s fate as a gem of the California coastline. Today, Santa Barbara’s population has attained its present comfortable peak. Stringent zoning and water regulations insure the area will not succumb to the prosaic suburban sprawl of larger metropolises like Los Angeles and San Diego. Instead, the Santa Barbara region has developed into several pleasant sized neighborhoods, each with its own unique qualities and advantages. Montecito is Santa Barbara’s elegant community to the east. Quiet, shady, and illustrious, it is a neighborhood of uncommon quality. Hope Ranch, an upscale suburb in the rolling coastal hills off the city’s western boundary, features private living and exquisite homes. With ornate homes, steep roads, and vast city views, the Riviera is aptly named for its European counterpart and is an immensely desirable neighborhood. 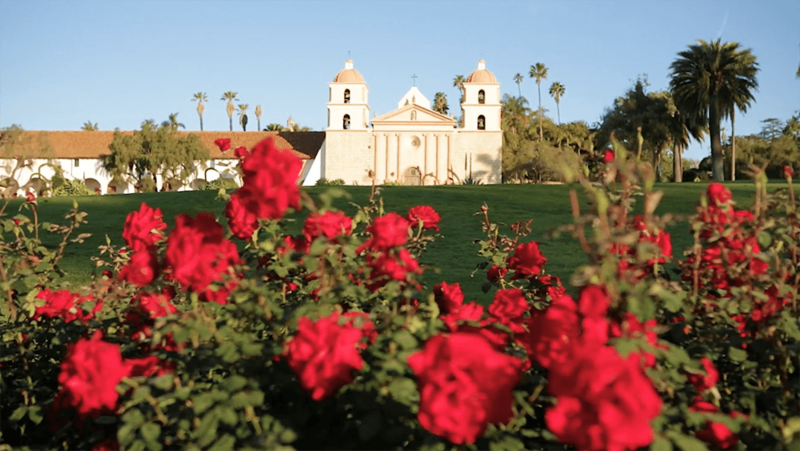 San Roque is immediately north of the Santa Barbara mission and is noted for its convenient location and family friendly setting. The Mesa’s spectacular island views are highly sought after, as are its great schools and proximity to the ocean. For information on local schools, visit GreatSchools.org. For a helpful mortgage calculator, click here. Contact Marsha for an impressive list of local resources.